I just love my earrings, and they go beautifully with the bracelet I bought from you in 2016 Christmas at Alladins! You know me, I have to have earrings and bracelets that go together and then I can throw in a necklace or two when I want to dress up!! I wear your creations almost every day when I go out or just staying home.Keep on creating your beautiful jewelry. I do check your website or Facebook for your newest creations! The bracelet is beautiful! The hues of blue, green and copper blend together so well. I especially love the faceted cubes of chalcedony. I have never seen it come in that shape. I make beaded stretch bracelets for myself and have bought chalcedony in rondelle and briolette. I will have to look for it in the faceted cubes! Thanks so much for the bracelet, lovely packaging and thank you card. The shipping was super speedy, too! Have a great weekend! This bracelet is absolutely beautiful! The service is fantastic and RioJewelry is sooo thoughtful and kind! Thank you so very much! This bracelet is gorgeous!!! The colors are beaitiful. Great seller!! I will be looking at more items!! She added length for me and it fits perfect. Thanks, Jann. I bought this a gift for my stepmother for Mother’s Day and could not be more pleased with it. She absolutely loved it! The earrings that I bought are even more beautiful than they looked in the pictures. They are strong and built to last. The weight of the earrings feel wonderful. You can really feel the quality. I have been lucky enough to meet Jeannette and she is as kind and beautiful as the amazing jewelry she makes. She is a very talented person and her one of a kind personality comes out in her jewelry. My new favorite earrings! The color of the pema beads are yummy. Jann made these custom made earrings for me and they are simply beautiful. Beautiful detail goes into all her pieces. Will definitely purchase more from her. This is a very nice quality bracelet. I was very happy with this purchase!! Just what I wanted! She is the best! I have been looking for a pair of amethyst earrings that are out of the ordinary. I have found them! They are beautiful. My daughter loves these earrings. She has many more on her list to buy from Rio Jewelry. These earrings are even more beautiful in person. This seller was quick to return convos. She took more photos for me so I could see the earrings in a different way before I decided on a purchase. The shipping was amazingly quick. You can’t go wrong with this seller. I will make more purchases soon! These are so amazing! I design outfits around them just because I want to wear them all the time. I can tell that they are going to be a lasting part of my collection because of how much quality is in the workman ship. They arrived so quickly, I didn’t have much time for suspense in and in a very cute little package to boot! This will not be my last order from Rio Jewelry Studio! These earrings were a gift for my mom, and she loves them. Beyond that the customer service was above and beyond great. In the future when I need to order more jewelry I will be back in a heartbeat. Thanks! Oh, and super fast shipping, too. Beautiful and great quality and packaged beautifully for a wonderful gift for anyone. Item arrived very quickly, thank you! 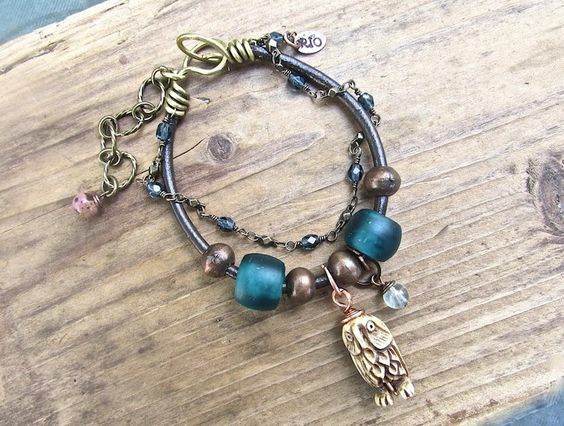 Very pretty, well made bracelet. Super fast shipping and great communication from seller. This item is beautiful! I love it and have gotten so many [compliments] on it. Well crafted with quality and attention to detail. Very well thought out and considerate. I love it!! Shipped and promptly delivered! Highly recommend! I wanted gray/silver earrings and Jann designed these. They are just beautiful and just what I wanted. These are absolutely gorgeous! Tons of compliments! They are even more beautiful in person! Thanks for a great American made product! Gorgeous amethyst earrings! 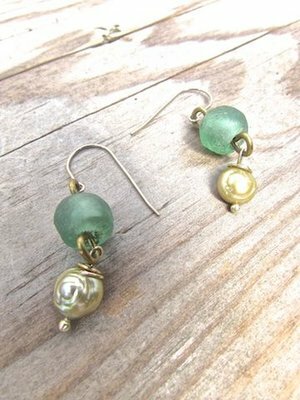 Jann’s jewelry shows creativity, attention to detail, and are beautifully crafted. Thanks. These earrings are simply beautiful. Jann puts so much into her work. I have purchased a few pieces loving each one. Definitely will be ordering more for gifts. These earrings are stunning. I love the way they feel when I wear them. The subtle pink is just what I was looking for. These earrings are gorgeous! I love the style and the soft colors so much I have requested a special order for a bracelet that matches. Great communication. I will return to this shop again and again! Just georgeous!! High quality workmanship, professional quality transaction and shipping. Thanks, love em! !